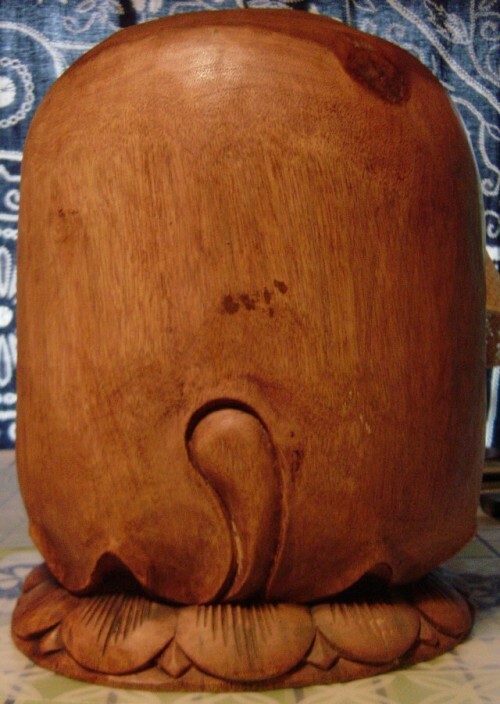 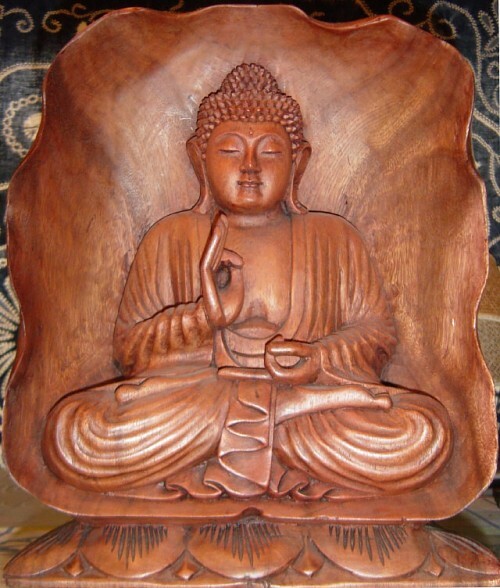 This superb wood carving was discovered in Malaysia, and carved there or in Thailand. 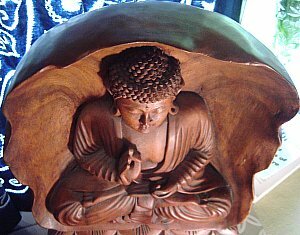 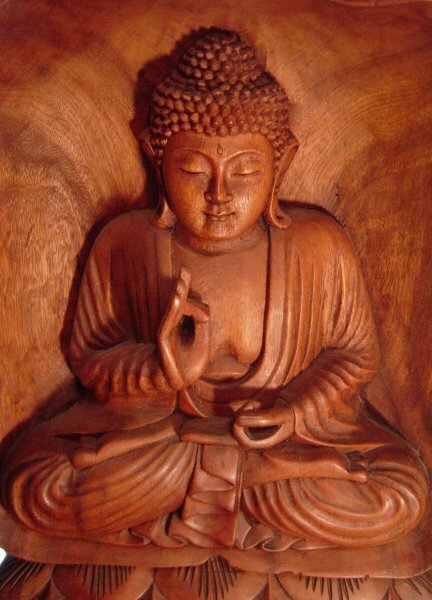 It depicts a sitting Buddha with hands in the preaching (teaching) mudra. 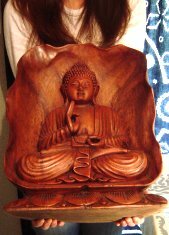 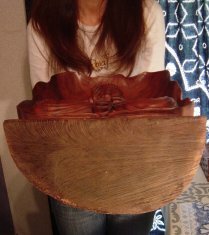 Made entirely from one piece of wood, including the lotus stand and surrounding aureole. 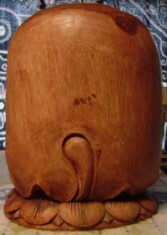 Very large.